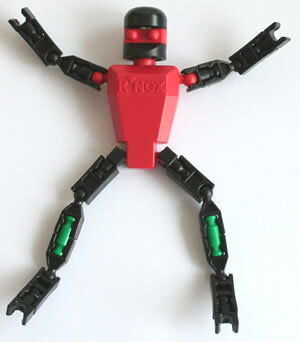 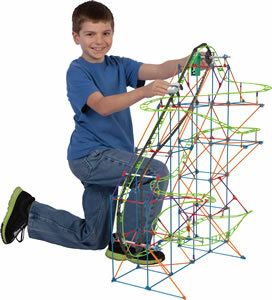 Bring a wave of fun from the ocean to your living room with the Typhoon Frenzy roller coaster building set from K'NEX. 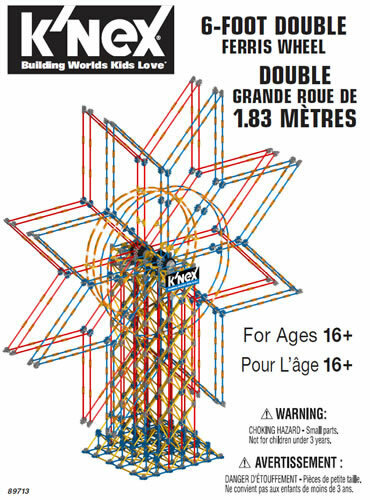 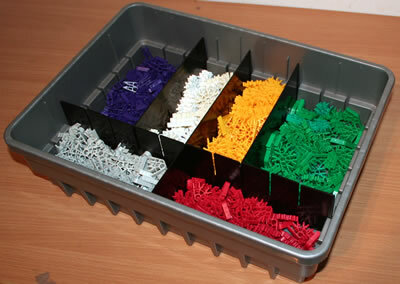 Build with over 640 K'NEX pieces including rods, connectors and track, and add motorized power to send the silver coaster car twisting and turning through over 5.8m (19 feet) of swirling, non-stop action. 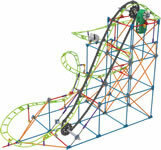 Also download exclusive instructions to build a second model, the Tsunami Surge Coaster. 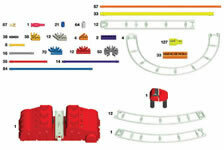 Click here and enter set code 51438 to download all the instructions for this set.